Noah, wow! I can’t believe you start your first day of elementary school tomorrow. I just finished putting you to bed and wanted to share a few things with you before your big day. First, you need to know I’m a little scared. It takes a lot of trust in other people (and God) to let other people be responsible for you all day. Sure you’ve been in preschool before, but this is different. This is a big elementary school! At dinner tonight I thought about how the playground at your new school isn’t fenced in all the way, and you like to run away sometimes. I worry about the teacher not paying attention and you running to the street and getting hit by a car, or kidnapped. I worry about other kids making fun of you, or wondering why you’re still in diapers, or can’t talk as well as they probably can (yet!) I worry about you needing help with your lunch box, or name tag, or backpack, or shoes, or a million other things. I wonder if you’re ready for this. I’ve seen you cross so many milestones. I remember the moment you were born. I remember bringing you home from the hospital for the first time. The remember all of those physical therapy sessions on the treadmill to help you learn to walk. I remember when you sat up for the first time. I remember when you pulled yourself up for the first time. When you crawled for the first time. When you took your first steps, and countless other milestones. Tomorrow is just another one of those milestones for you, and it’s a big one. I love you so much. So much. And I’m so proud to be your dad, more than you will probably ever know. I wouldn’t change one chromosome about you. From the second I lied eyes on you at the hospital I’ve been your biggest fan (your mom is a close 2nd…!) You’ve crushed so many of your milestones, you’ve worked as hard as any little boy I’ve ever know, and I know you will do well as you start kindergarten! As you start the first day of what will be a long journey of your education I want to share a few thoughts with you. These thoughts not only apply for tomorrow, but for the rest of your life. You were created by God, in the Image of God, to do amazing things! Genesis 1:27 says that God made all people (including you) in His image. Psalm 139:13 says that God knitted you in your mother’s womb. And Ephesians 2:10 says that God created you to do good works! These are some of the most important things I can tell you. You were made specifically by the God of the universe and He loves and cares for you greatly. If you forget everything else, remember this. God loves you greatly, son. God is control. Nothing in this world is a surprise to God. He runs the show, and He runs it well. Even when things happen in life that we don’t understand (and the odds are they will) He understands. God doesn’t tell us we will always understand everything, but He does tell us to trust Him in everything that happens. This is a lesson that you’ll have to learn over the course of your life, but trust me son, You can trust God. He knows what He’s doing. Your parents love you greatly. We aren’t perfect parents by any means, but man, oh man, do we love you. We’re crazy about you. People can be mean. Don’t let this surprise you. And as much as you can, don’t let it bother you. This is really hard to do, especially when your young. But you’ve got to learn to shake the haters off, and there will be haters. God has given you a personality that gives others joy. I love watching you give high-fives to others, or sing, or dance. You’re a fun little boy. I love the joy that you have. When people get around you, you help bring out their joy. That’s awesome. Keep doing that! I’m proud of you. Like crazy, over the top, can’t even put it in words, proud. You have to keep your shoes on in school. Please. God is in control. He loves you. And you can trust Him. Oh, and you rocked those Chuck Taylor’s today! I’m sure I could think of many other things to share with you, but these are some of the biggies. I love you son. A lot. I have this strange mix of fear, excitement, and love going on inside me right now, but I can sleep well tonight knowing that God holds the whole world in His hands, and that includes you. I can’t wait to see what the future holds for you. You’re a special kid, Noah, and not just because you were born with Down syndrome. I know that God created you to do something amazing with your life, and I’m thankful I have a front row seat to watch it all unfold. 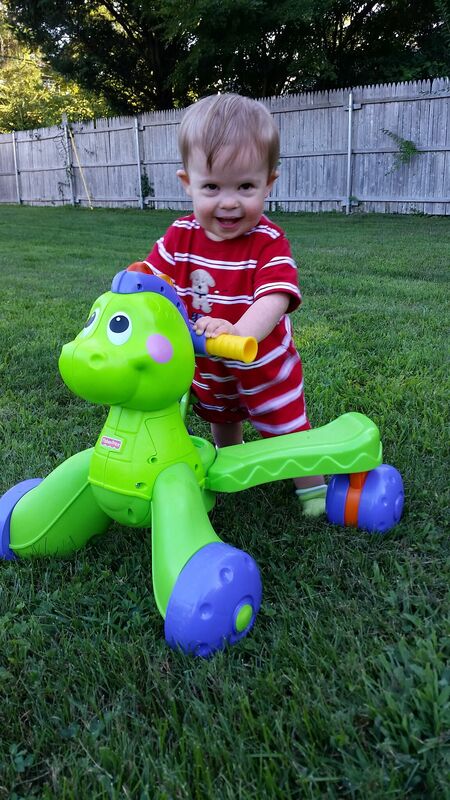 Noah is so blessed to have a father and mother who love him with such a LOVE! He will do just fine daddy…. God is truly watching over him. Your letter brought tears… It inspires me to show my love to my children more often. Thank you for that. Oh and I’m learning all about that extra chromosome. Our baby girl is 11 months old. We are so, so proud of her also! Thanks for the kind words. You guys sound like great parents! Praying for Noah and his Dad! Grateful for Noah’s Mom :). Thanks friend! I’m grateful for her, too! thanks great dad for very heart touching thoughts about your wonderful son i am very impressed this i pray for noah . Go get Noah! You are and inspiration to us ! Thanks for your openness Dad! Our son Luke is 4 months and we (me mostly) worry about just about everything for him thank you for reminding God is in control- even over my heart on the outside! I Have Tears falling. I’m bawling here. Noah You Are In My Heart, In My Thoughts, and In My Prayers. I Pray You Have A Funfilled Amazing First Day Of Kindergarten Tomorrow Champ. May God Bless You Noah and Keep You In His Ever Loving Grace And Ever Strong Embrace. I love reading what you have to say about Noah. It is so inspiring. As a parent to 2 special needs children, I know how hard some of these milestones can be with our children. But you are so amazing with Noah! 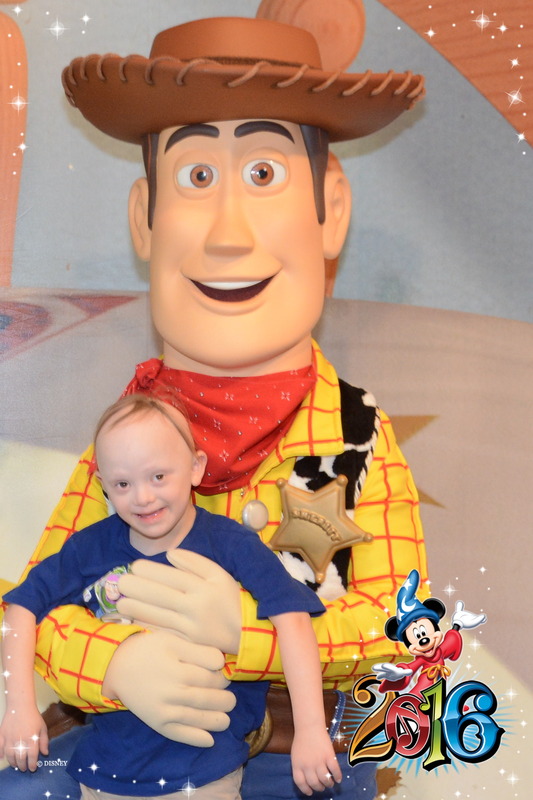 Noah, is such an amazing boy, he has inspired the world , to others with Downs ~ he has a father and mother, that has opened so many doors, for so many achievements~the world has become such a better place because of you, Rick & Abby. Children, once forgotten, are now becoming~ Prom kings & Queens, driving, collage , jobs, Models, learning to be independent. My hat goes off to you Rick & Abby for you have opened a world, where acceptance and Love has made such a difference, for not only your son, Noah, but many other. God Bless you always, for the gift you have given~ acceptance, Love and futures, for all children, who will one day be successful,independent adults. Your family is such an inspiration to the world, to have dreams and to be able to achieve them, keep on being the parents you are and the voices you are. The greatest thing you have taught people is , all children deserve to be treated equally, loved and given respect. I had tears running all through as I read your letter to little nan Noah. You exude so much joy that encourages me to carry on with life. My little mushy was qalso born with DS but am great-uncle to God for all. Congratz Noah. Have a good day and a fulfilled destiny. Love u. Am so glad to see your little cutie and know my son has a brother who looks like him. 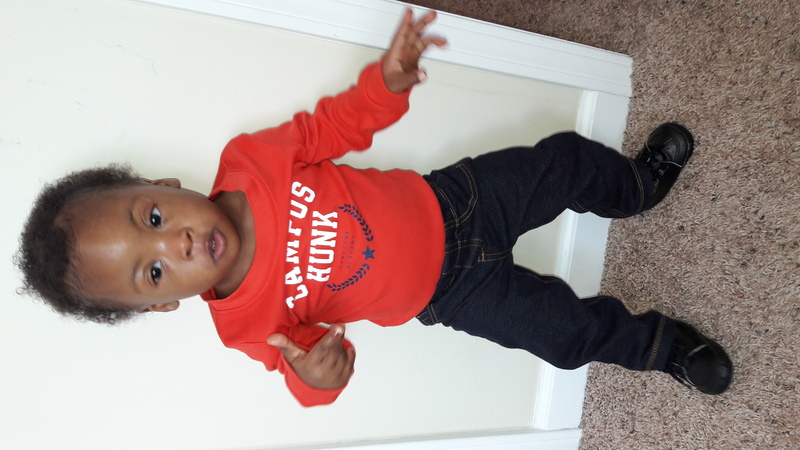 I live in Nigeria and have had to answer so many questions about his looks but when I see your son i know my son will turn out handsome like the little man in the picture. Prayers for Noah as he takes this big step and prayers for all of you sometimes it’s just hard being a parent and letting go but hanging on tight as well . May Noah be loved, protected and appreciated in his new shool. aweee bless i have been following Noahs story for a long time, and this has brought happy tears to my eyes, and what a great mum and dad yous both are and an noahs lil brother! may all noahs hopes and dreams come to him . have fun lil man . thinking of you all . Wow, you go and rock them, Noah!!! Gotta tell you, I am crying my heart out. A month ago, we were told that our baby Carlos has Down Syndrome; and our whole world changed. He will be born in November. We just saw a sonogram and he was sticking his tongue out, like making funny faces. I am so happy for Noah and know he will be fine. Our oldest son, Danny, started pre-kinder two weeks ago; and we had many of the same concerns. We as parents worry for our children with or without an extra chromosome. This is the first time I write regarding our little Carlos. I want to send out a big hug to you, your family and Noah! All is good. Congratulations on your new baby! The DS community is so supportive and loving. Read lots of blogs and join some Facebook groups! They will help you so much as you prepare. You will see that these kids can do amazing things. Your Baby Carlos is going to change your world for the BETTER! He will be an amazing light as my baby boy Jack is too! Big hugs to you and your family! Carlos – you or your wife can reach out to me at elbroadhurst@yahoo.com if you need any support or have any questions! My husband and I would be happy to help you in any way that we can! Thanks Rick! I can relate! One thing I have started doing was praying for teachers, bus drivers, principals, and coaches. This came to my attention because of what you mentioned- the trusting! So far so good, I have had no issues with the adults in my son’s life. (He’s 4) I pray, but I can’t help but have a very watchful eye. Prayer is my medication for pain, hurt, fear, and everything thing that may arise in any day of my life. Our daughter was born with facial features that resembled DS. physically challenged in both arms, hands, legs, and all 10 fingers. Legs were completely rotated as well as folded upward and her feet, also misshaped , laid on her shoulders. The only thing she could move was her head. She could not move anything else nor could we. She looked like half of a baby. When we were finally able to take her out, people staired and whispered. Some even had the gall and stupidity to follow us around trying to get a better look at her. She did look like half of a baby so guess they were very curious. No matter what she looked like, how her little body was twisted, we loved her and love her with all of her heart. She was challenged in many ways and suffered many trials everyday of her life. Through many trials, surgeries, physical and occupational therapy, many talks about why she was like she was , the pain only she could know as others: adults and children , made fun of her, She always knew the strong love and commitment of her parents and most of all the love of Jesus and she learned she could always go to him when there was no one else. Yes we were told she would never do anything but we loved and love her with all our hearts, we prayed and many others prayed. We still pray. Today she’s in her mid 30’s. She didn’t have downs but the severe physical challenges. She’s now married and very happy. She works everyday. She’s still can’t raise her arms , no muscle in hands so they are drawn but she works everyday. She wedges a pencil between fingers on both hands and uses the eraser end of the pencil to type with. The movement she has comes from her shoulders. They were right, no muscles in her arms. After transplanting muscle , she still can’t raise her arms, her knees don’t bend. but she manages although has to have a little help here and thre. We thank God for her everday and the blessings he bestows on her. Her hubby also has physical challenges but their challenges accommodate each other’s. With no siblings and such a small family I have always been so scared what would happen to her when God calls us home. Now He has shown us he has and will provide for her and blessed her with the most wonderful Mother in Law anyone could ever have and wonderful inlaws period.!! I love her other mother with all my heart. She’s more like the sister I never had and she’s an awesome child of God. I pray for all the little children for Gods love and mercy. I pray for all of us as parents and for our children they will be loved and have Gods help as each new day unfolds. 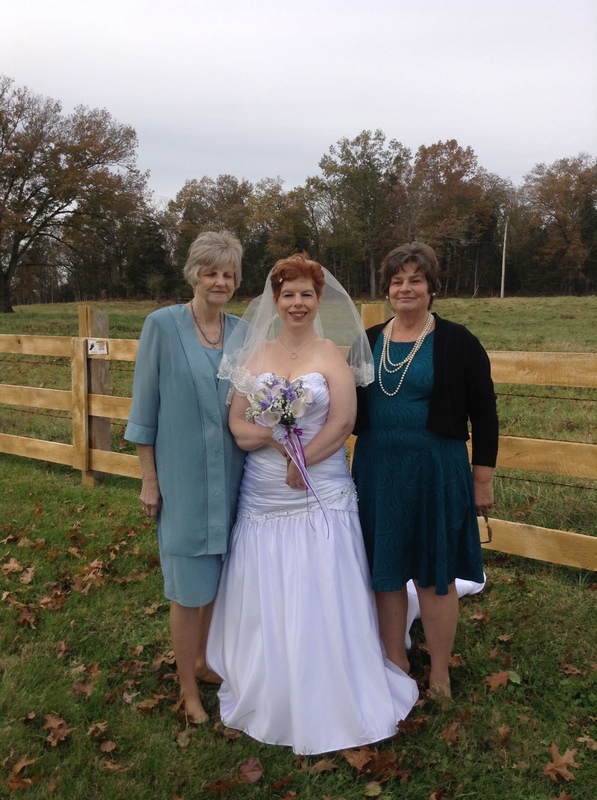 In Lori”s wedding pic her other mother is in the darker dress and the shorter of us 2 moms? Thank you for sharing, I will save this for 2 more years to share with my son and daughter -in-law when they send our Ryan off to Kindergarten. You are such an amazing dad and Noah will grow up with a strong will to accomplish what ever his heart and Gods leads him to be. We are all blessed to have you share this journey with us. Have a GREAT year with new beginnings. Awesome! Good luck kindergartener! Tears filled my eyes reading, it was beautiful! Thanks for helping this mom! Fallon ( they were in mommy and me together in Dallas, now we are in NY) is starting in September – general Ed with a 3-1 teacher’s aide, so nervous about all the same things! I hope I can keep it together because I know she is going to be fine! Let us know how it goes, yeah Noah!! I loved this. It made me tear up a little. I remember dropping off our little blessing, Riley, on his first day of kindergarten…so many emotions. Just as much as today…his first day of ninth grade. You are so blessed! You are an awesome dad and I think I felt the same way each time one of my children started school. Always those fears and concerns! I pray for Noah’s safety and adjustments to this new step in his life. I think we have all had these feelings and fears.My oldest child with DS sat under the table at school his first few days.I always picked him up after school.It was a week or so before the teacher told me he doesn’t come out from under the table and just cries.Well, my little boy who started school with no speech until 7 is now a whirlwind of ideas.He writes constantly and is always looking up info.He was very upset they only gave him a certificate of completion from high school so he advocated for himself to go to the adult school and get into the program for his high school diploma not settling for a GED.The math is hard but he is doing it one problem at a time.It may take years but I really think he has a chance to get it.Noah is a beautiful boy.My kids too were beautiful.The first time we had to get a babysitter,it was a woman from our church we thought we could trust.She babysat our three with DS ages 5,6 and 7 for 9 hours.My husband had two finals for his Masters and I had to fly from Missouri where we raised our kids,to California to get our last child.The womans 17 year old son came to our house and raped our children many times over 9 hours while she left to get her car repaired with the 200. we paid her for babysitting.Our children are very vulnerable,especially the good looking ones.I had thanked God every night since we got our first child that they were not molested or treated unfairly .My children kept the rapes from me for 12 years.When I found out I dropped my whole life to get back and forth to Missouri to get this pig imprisoned.He got 21 years but the judge who was no good made it consecutive to 7 years.He still has 2 years.We have moved from there back to my home in California.We still have a farm on 20 acres and a house of 5 bedrooms and 2 baths in town we are selling.I don’t know why God did not watch after my children when I asked him everyday,when I trusted him so much.I’ve spent my whole life in church.Why do I tell you this? Congratulations on your big day Noah!! Rick – Does Noah need orthotics? Just wondering if the Converse shoes accommodate them! Thanks for sharing. 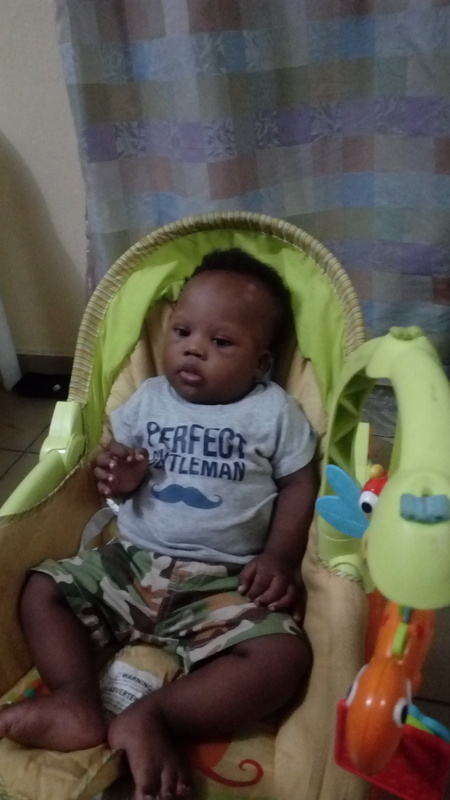 My son with DS is 4months old. Every time I dear for his future I come to your blog or Facebook page and I get filled with hope. Will save this for wine he goes to school. God bless you Noah dad! Greetings from St. Lucia Noah and congratulations on your journey. My grandson Liam suppose to go to pre school this September, I am already thinking will people take advantage of him since he is downs. I love him so much and would be hurt knowing he is not safe at school. May God take you in his care and keep you safe. Love this!! My son started 1st grade this year, and amazes me EVERY day! God doesn’t make mistakes, and I am thankful for your blog to help raise awareness for our kids! Im reading this sitting in my car waiting on my little girl to come out of Kindergarten today (Got here like 45 minutes early) it made me cry. Your words were very touching and very similar to how we all feel. Thanks for sharing. Rick, what a great author, as well as father you are. You wrote how everyone feels with a little more anxiety. My nephew had down syndrome and spina bifida. Doctors only know so much. The Almighty Father and parents know so much more. Keep Giving all of us joy and God’s Blessings. Great way to express your fear and feeling.Its true nobody can do anything except God.So God bless Noah and my little Muhammad. I love your blog…it gives me such hope and inspiration for my son who is only 6 weeks old and diagnosed with DS. I know Noah will do great in school because he has such great parents! Thank you for being willing to share your love and inmost fears about your son Noah. You and Mom are doing such a great job of raising your boys with total trust in the Lord. God bless you. Rest in his love and let go of your fears regarding your/his child. What an amazing letter! I am sitting here with tears in my eyes, such powerful feelings that you are sharing! My Liam starts his journey as well at school in a few weeks. I have very similar feelings. Noah will do amazing at school! He will make friends and be a leader! He will be the teacher and teach many people on his educational journey! Some will learn and others will miss the lesson, and that’s ok. Noah has been blessed with amazing, loving, supportive parents who have and will continue to show him the way. All the best is wished for him and for you on his next phase in life. Have an awesome first day Noah!! This was so touching. What a wonderful idea and beautiful sentiment. I love this. My son is only 6 months and I sometimes think about what that moment will feel like for me & my husband. You are all very blessed to have each other. Have a wonderful first day Noah. Such A great read! Your letter is so encouraging to me and my family, as we get ready to send our son with DS to his first pre-school class. It is so reassuring to year from another Christian family navigating life with similar Challenges. Good luck Noah, you will do Great things in Life! Great post!! My son, Jacob, has his first day of Kindergarten tomorrow!! YEA for Noah and Jacob!! How did it go? I am so so touched with your letter..I can even express. Noah has everything in life, he is blessed with a great father. Yes, you are absolutely correct that people don’t know what is down syndrome, even I never knew until we had a baby girl with down syndrome. The moment she was born we dint knew as we should be happy or sad. They were extremely mixed feeling. We named baby as “DRISHA” means answer to all prayers. As you said Noah is a joy kid, same is DRISHA. A lovely child. And yes just an extra chromosome won’t change our love from them, and hope they get same amount of love from the entire world. I started following you after you posted on Reddit a few years ago. I’m not a religious person myself but I do believe in love and it is clear that Noah is growing up with love in abundance. I wish him all the best for his first day in school – such a big step but with you and his mum behind him, and your faith, I know he will take it in his stride! Hi, my name is Graciana.. I Live in mauritius.. I have a son With down syndrome.. Lucas 7 years old. I am her mum and also his dad… It’ s difficult for me alone to look after him but with the help of god and my family I have the courage needed.. Noah is blessed with a great father.. and also mom Who loves him.. Thank you for your letter It gives me lots of hopes and courage for my son. I shed tears reading your letter to Noah because I have a little boy who was 8 months on Monday and who looks just like Noah. I have followed everything about Noah because it encourages to see my little boy in another light and your family has been a source of encouragement to me. I pray to God that He will see Noah through kindergarten and he will reach all his milestones. Noah is such a blessed baby to have parents that love and adore him this much. Its rare to get this. From where i come from children with DS are literally hid from the society as they are considered as a bad omen (can you imagine) worse is that most of the fathers leave the wives or mothers of these children and you find that its the mothers who take the burden of taking care of these children. Such an inspiration…I will be honoured if you could do a guest post on my blog..i know so many will be reached from this side of my world. Thanks for such a inspiring letter. I will be so worried, like you mentioned, of others watching him. However, like you also said, God is in control! I hope Noah’s kindergarten year is awesome! I really enjoyed to read this because I am a mum has a five year old son with down syndrome and my little one starting his primary school in September and I have the same feeling and worries . You and your wife are doing a fine job at raising an amazing young man. I have identical twin girls with Down Syndrome, and I do honestly do believe these kids have a very special purpose on this earth. I believe it is to create balance…to remind us what pure love and kindness are…to show us that hard work and dedication can pay off…never to give up…And my favorite, to give the best hugs ever! Good-luck to you all on your new adenture! Rick that letter was the most touching letter I have ever read.Yes God sent you Noah knowing that you and your wife would accept him even though he was Down Syndrome.You are special parents and Noah has developed so well because the love and devotion you as parents gave him.Having Jaxten who is the best and most loving brother Noah could have.I will be thinking of you all and know Noah will do fine as he has so much exposure to many things.God will Bless you always. 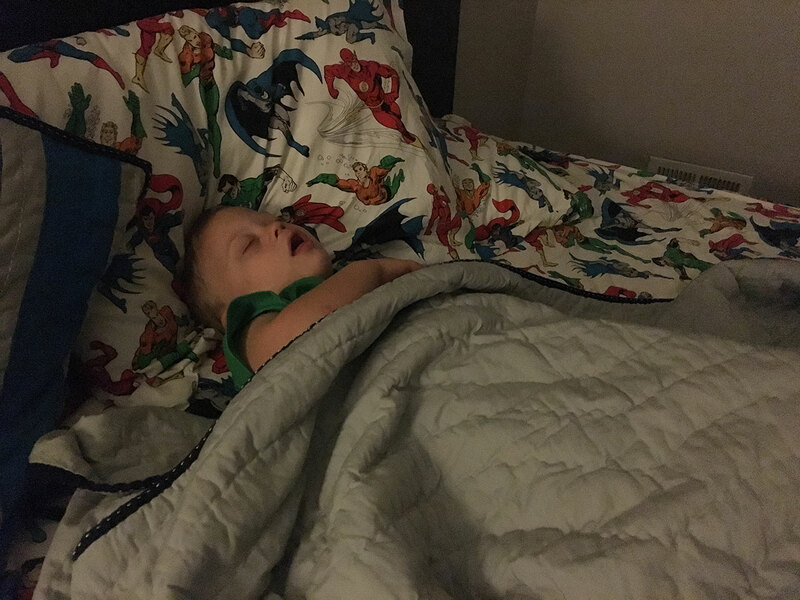 Never before has a blog post brought me to tears. The emotion running through your post takes what I think every parent feels and 10Xs it. Beautifully written and I can’t wait to hear how he got on. 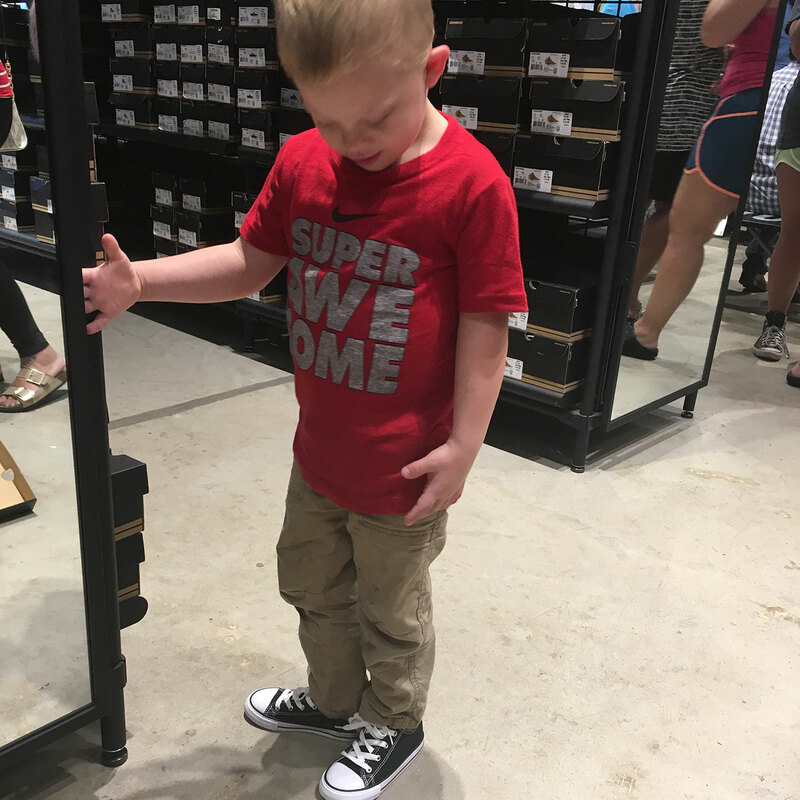 P.S – the little man really rocks those Chucks! Not only was I gripped by your post, I was gripped by the comments. You’ve bought together a community of parents and people through sharing your milestones. This is a Beautiful story. 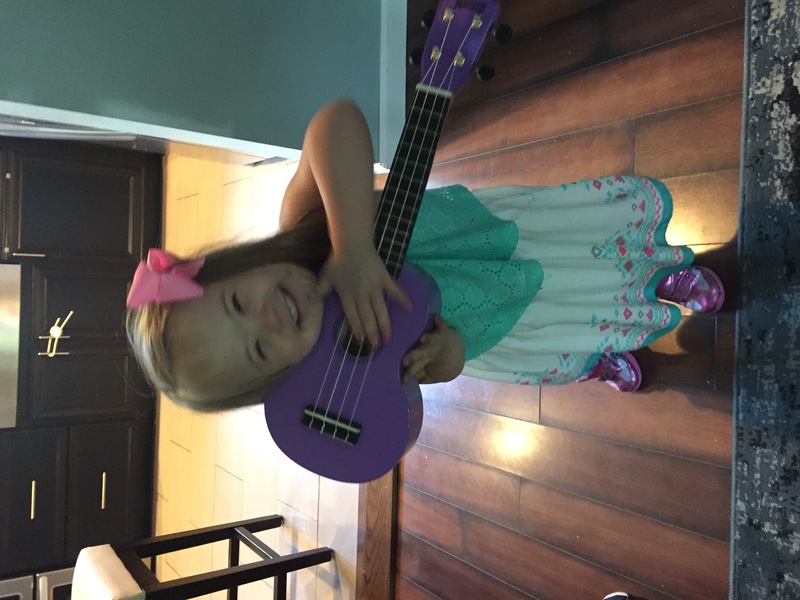 I am the GrandParent of a child born with Down Syndrome with some of the same concerns as you. However, Your words were really touching and has left us more encouraged and hopeful.